The 1NZ-FXE Engine mated to the hybrid transaxle (right). The Prius engine uses the more efficient Atkinson cycle. Everything neatly tucked away. The engine is on the left underneath the air filter. The inverter sits on top of the hybrid transaxle on the right. 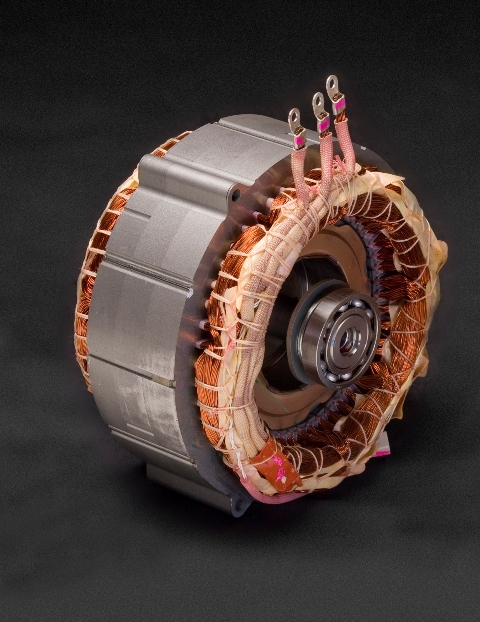 The Prius transaxle contain two electric motors that can also act as generators (motor/generator or MG). 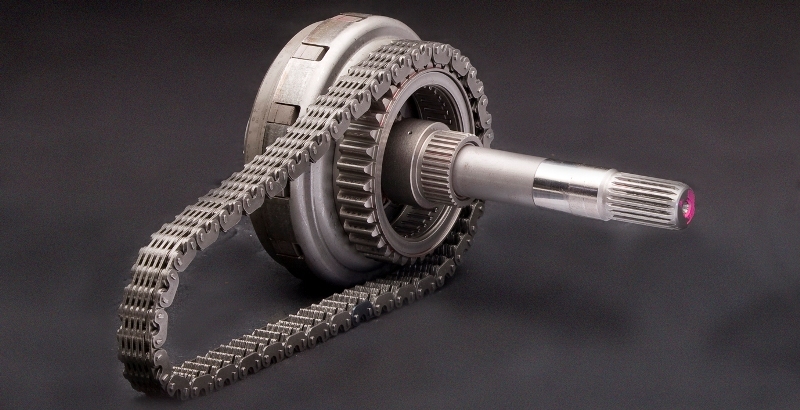 The gears sticking out in-between, couple the drive force to the wheels. 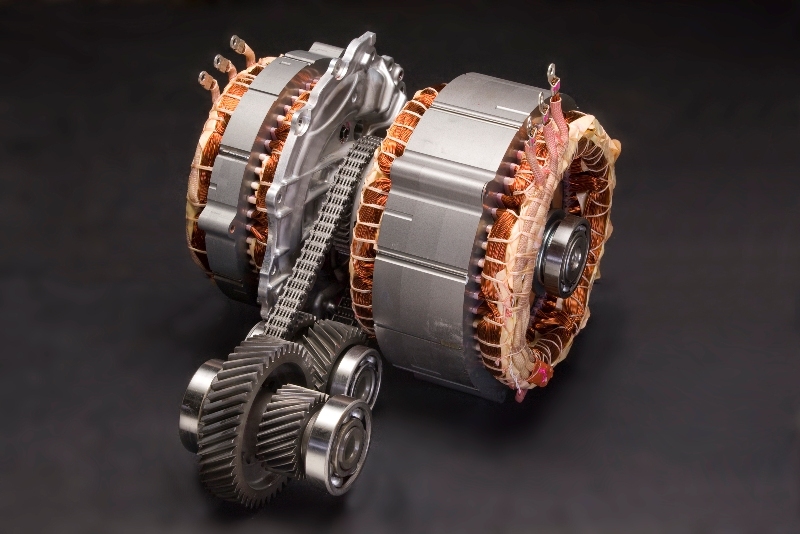 The power-split-device resides between the two motors and together with the two motors create a type of continuously variable transmission. Toyota uses prismatic NiMH modules from Panasonic. Each module consists of six 1.2 V cells connected in series. The module has a nominal voltage of 7.2 V, capacity of 6.5 Ah, weighs 1.04 kg, and has dimensions of 19.6mm(W) x 106mm(H) x 275mm(L). —or one out of 40,000 Priuses—for the second generation Prius"
"At 5 years and 106,500 miles, mine is still going strong." The Prius battery stack consists of 38 prismatic NiMH modules connected in series. It delivers a nominal 273.6 Volts and has a 6.5 Ah capacity. The modules are stacked side by side and then compressed together in a rigid, non-expandable structure that prevents expansion from internal pressures. The complete battery pack consists of the battery stack, enclosure for structural support and airflow, battery electronic control unit/monitor, relays and safety switch. The weight of the complete battery pack is 53.3 kg. The pack is horizontally positioned in the boot of the vehicle partially under the back seat. Power electronics (inverter, DC-AC converter) are under the bonnet and a blower for moving air and associated air ducts are in the boot. 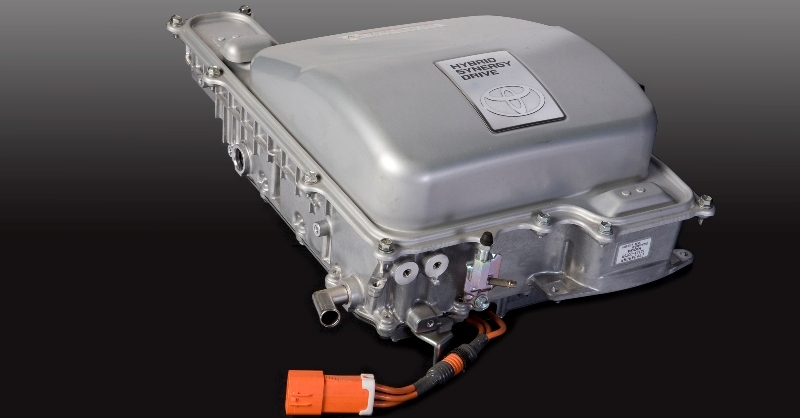 Discharge power capability of the Prius pack is around 20 kW at 50% SOC with regenerative capability of 14.5 kW at 2C. The power capability increases with higher temperatures and decreases at lower temperatures. Active thermal management can improve power capability at lower temperatures. The purpose of a battery thermal management system is to keep the batteries operating within a desirable temperature range; prevent the batteries from exceeding a high temperature limit that can damage the batteries and/or reduce life; and maintain battery temperature variations to low levels to prevent highly imbalanced batteries. Pack imbalances can reduce performance and can also damage the battery and/or reduce life. Thermal management of the battery pack is typically accomplished with the combination of two approaches. First, a cooling/heating system is designed to extract/supply heat to the battery pack. Second, the battery controller adjusts the vehicle’s use of the battery pack based on the conditions in the batteries. In the rear is a vent that draws cabin air in and over the battery for temperature control. It is important not to block this vent. 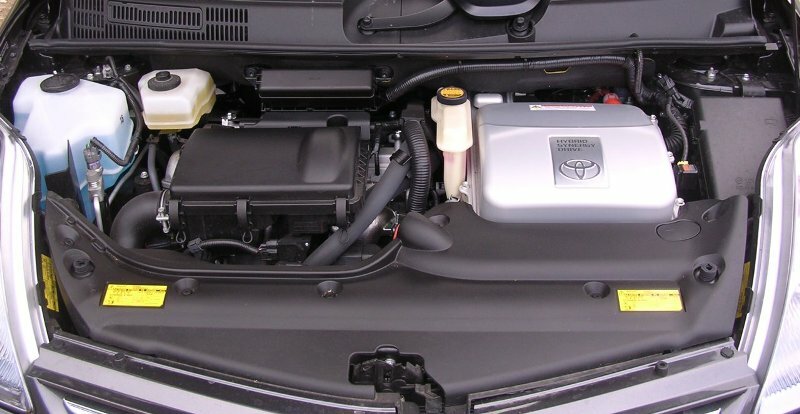 The Prius supplies conditioned air from the cabin as thermal management for cooling the batteries. The pack’s forced air system consists of two vents located in the cabin under the middle brake light (exhaust from the cabin or inlet to the pack); ducting to the battery pack enclosure; the enclosure manifold; air gaps between modules; ducting out of the pack to a blower that pulls the air through the system; and two exhausts (one to the boot and the other to the outside). A hydrogen vent from each module is connected in series with tubing. Any gases released are exhausted from the vehicle through the gas manifold to avoid any increased hydrogen concentration and, thus, potential for explosion. 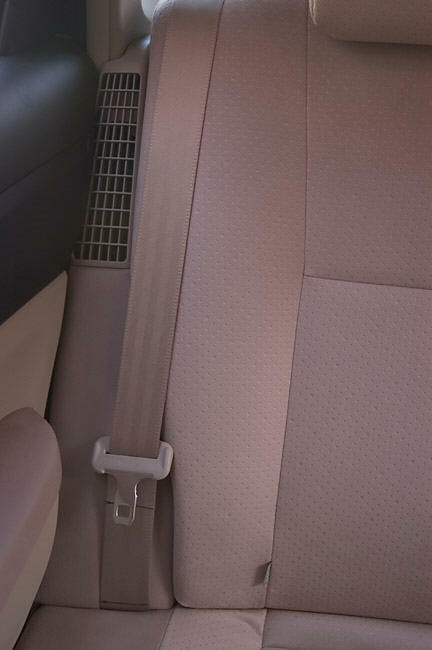 Outside air is conditioned (heated or cooled) by the vehicle’s thermal comfort system to a level comfortable for the driver. This approach has the advantage of providing air that is not only comfortable to the passenger(s), but also ideal for use in heating or cooling the NiMH batteries. However, the Prius does not use the forced air for heating the batteries. To achieve a relatively uniform temperature distribution across the modules, a parallel airflow scheme is used, rather than a series configuration. In a parallel configuration, each module is set up to receive the same amount of airflow and thus the same cooling. To achieve this in the Prius, cabin air enters the pack through a plenum that runs beneath the battery stack horizontally from passenger side to driver side. The cross-sectional area of the plenum is largest at its entrance and linearly decreases as it goes under the modules. Then the air flows vertically through the gaps between each module (formed from dimples and protrusions on side walls). Finally, the air enters into the top plenum. This plenum’s cross-section increases linearly in the direction of the flow. With this design, the pressure drop across each module is expected to be uniform and, consequently, should lead to a uniform flow rate around each module. The air is drawn by a 12 V blower installed above the driver’s side rear tire well. The air is either exhausted to the boot or through a vent on the driver’s side C-pillar. The fan has four settings, depending on the maximum temperature of four monitored batteries. Toyota also monitors the inlet and outlet air temperatures. The fan settings are off, low, medium, and high speed. The blower setting depended on temperature and transitions with hysteresis depending on whether temperature is increasing or decreasing. The Prius has a computer that’s solely dedicated to keeping the Prius battery at the optimum temperature and optimum charge level. Both these functions maintain the long life of the battery. Toyota have lab data showing the Prius battery can do 290,000km of normal driving with absolutely no degradation of the battery’s performance. This long life is largely due to the computers control of the Battery pack. In the event that a Prius has a HV battery that is too low for the car to be started, Toyota dealers have a battery charging tool that allow them to charge the HV battery from a standard AC outlet. 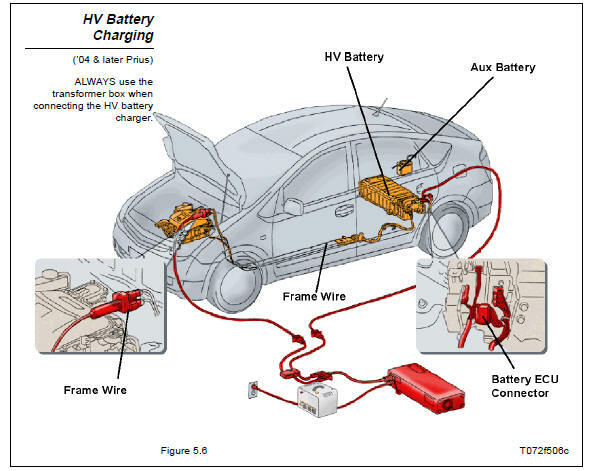 Click on the image below for a pdf, "High Voltage Battery Control Systems"
The power inverter is an electronic device that takes the high voltage DC from the battery and turns it into AC that can drive the motor. The inverter also converts the AC power from the motor/generators back into DC to charge the battery. The unit contains special transistors called IGBTs that perform the power switching functions. Inverter teardown article located here. The Prius has no manual or automatic gearbox in the normal sense. 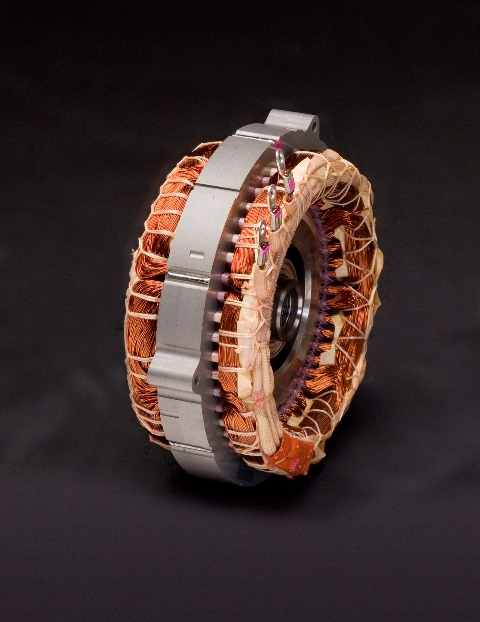 Instead it has a type of CVT or more accurately called a "power split device". The PSD divides power seamlessly between the engine, motor and generator in any ratio. Its' operation is similar in some regards to a differential. The actual PSD is about the size of a mans clenched fist. For a description of how it works, with animation, click HERE.